Rhode Island State Senator Joshua Miller Tells Second Amendment Rights Supporter: "Go F*** Yourself." 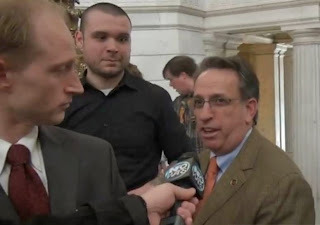 PROVIDENCE, R.I., April 1, 2014– Rhode Island state senator Joshua Miller (D-Cranston, Warwick) has been under a lot of scrutiny for telling a local radio host to “go f*** hismelf” after the host confronted him over the Second Amendment following a gun control event. The video has gone viral since released two weeks ago. Dan Bidondi, host of “Truth Radio Show,” is seen on video approaching Miller with an InfoWars microphone. “The Second Amendment shall not be infringed, you people need to understand that,” Bidondi says. “Go f*** yourself,” Miller replied. He called the radio host a representative for a “website notorious for conspiracy theories”, but did issue an apology statement. 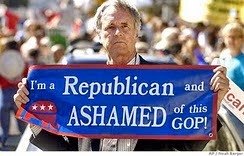 “At the end of a press conference in which I participated, an individual representing a website notorious for conspiracy theories started berating members of the coalition and intimidating elderly veterans, members of the clergy and victims of violence. It quickly became a highly charged atmosphere, which required the presence of the Capitol Police. The individual in question is not new to the State House and is known for his aggressive and intimidating manner. He also was interrupting legitimate members of the media who were attempting to conduct interviews. After watching him antagonize an elderly veteran he swung his camera my way, which produced a very human and guttural reaction. I respect both the Second Amendment and the First Amendment. It is important to note that the individual in question was physically removed from a committee room by the Capitol Police later that evening.